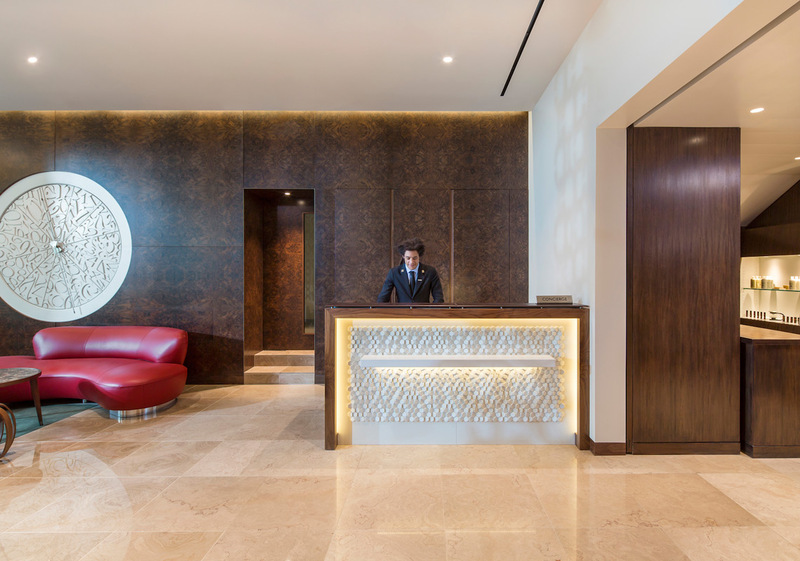 We were introduced to this project by Forme UK and worked with them on the entrance lobby redesign of The Metropolitan Hotel on Park Lane. 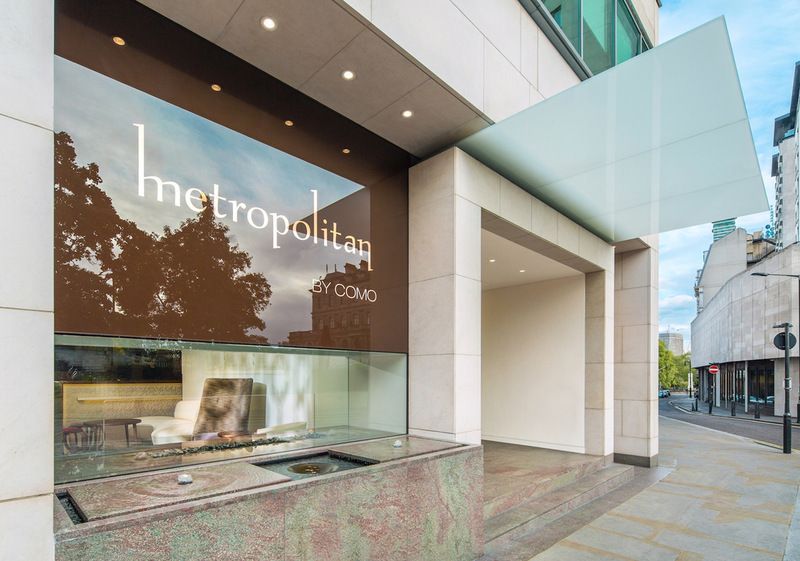 Metropolitan by COMO combines sophisticated design with a vibrant location in the heart of Mayfair. 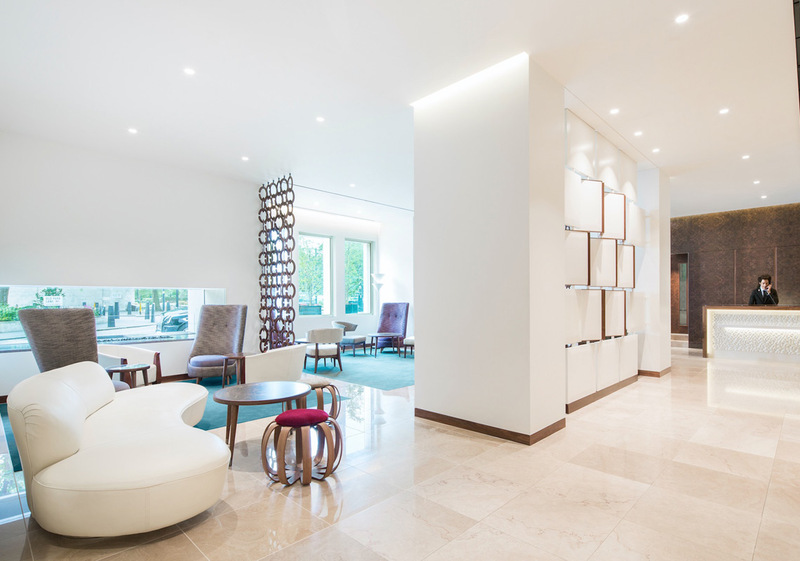 We introduced high quality LEDs to provide a low maintenance and energy efficient lighting scheme. Layers of soft warm light complement the fresh palettes of natural hues, highlighting textures and the rich walnut timbers. 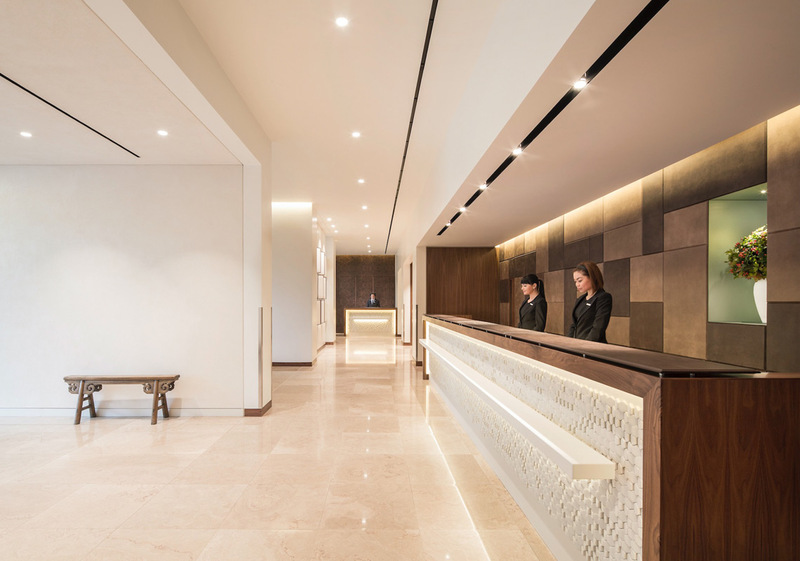 We introduced a simple lighting control system to provide different lights scenes for day, evening, and night, ensuring lighting creates the perfect balance between work and relaxation.